Taking a breath – this is what Alex Txikon wants to do not only figuratively but also literally. 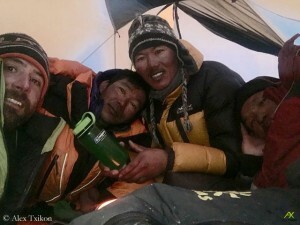 After six days on the mountain, the 35-year-old Basque has descended to the Base Camp at the foot of Mount Everest. 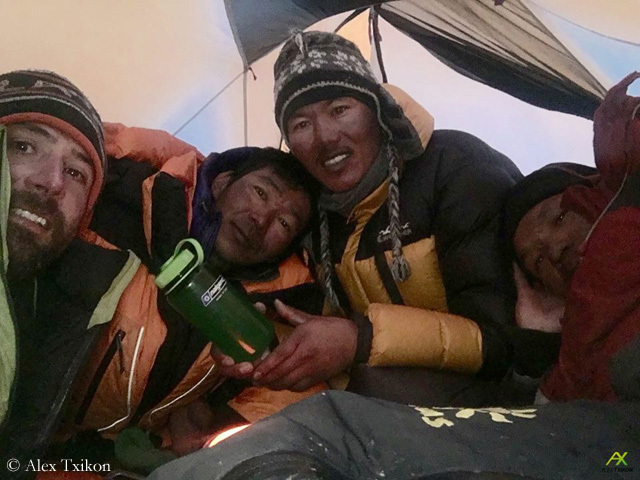 “We climbed to 7,800 meters,” Alex tweeted after his return to BC, which is located at about 5,350 meters and where the air is much thicker than in the height just below the South Col. “It’s time to rest,” says Txikon. And, perhaps, to re-plan the tactics too, after his companion Carlos Rubio – as reported – had to abandon the expedition because of a lung inflammation.